You guys! I love this holiday time of year! Work (sort of?) starts to slow down, there are more gatherings and events, and my favorite part of all–the gift giving! I love giving gifts and hunting for things that someone will really love so I’ve been keeping my eyes peeled this past month. And I especially love giving the gifts that are “wants” instead of “needs” because after a wild and crazy year, it’s time to treat yo self and others to enjoy the season. 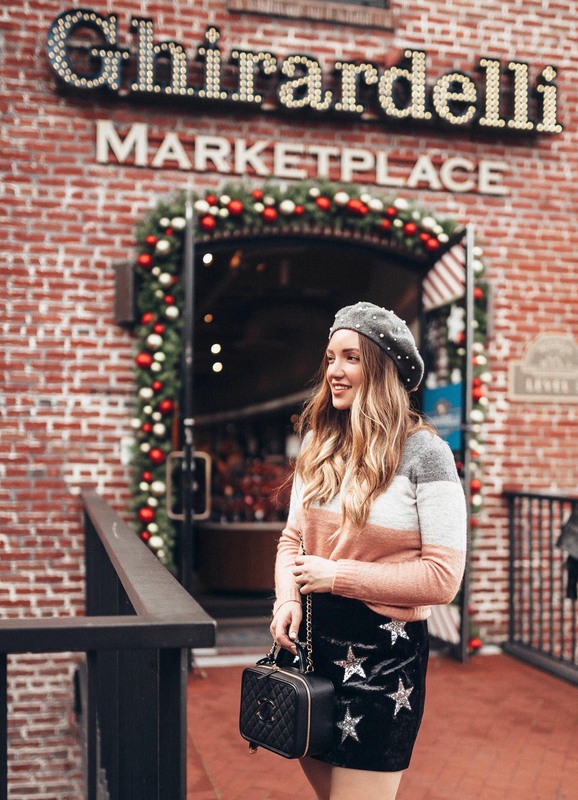 I recently took a trip to Ghirardelli Square in San Francisco to pick up a few delicious chocolate-based gifts as part of my shopping this year. I love how festive the entire area is decorated and it really kicked off the season for me. And of course, you can’t not stop for a peppermint hot chocolate with amazing San Francisco bay views? I picked up a handful of chocolate gifts to include in my Holiday Treat Yo Self gifts this year alongside some very cozy gifts. 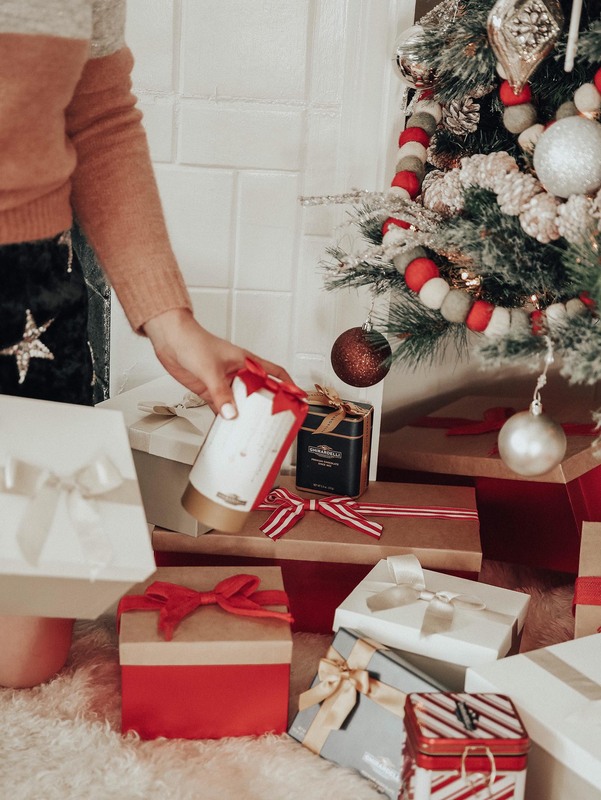 Keep reading below to see all of the items I’m gifting this year! 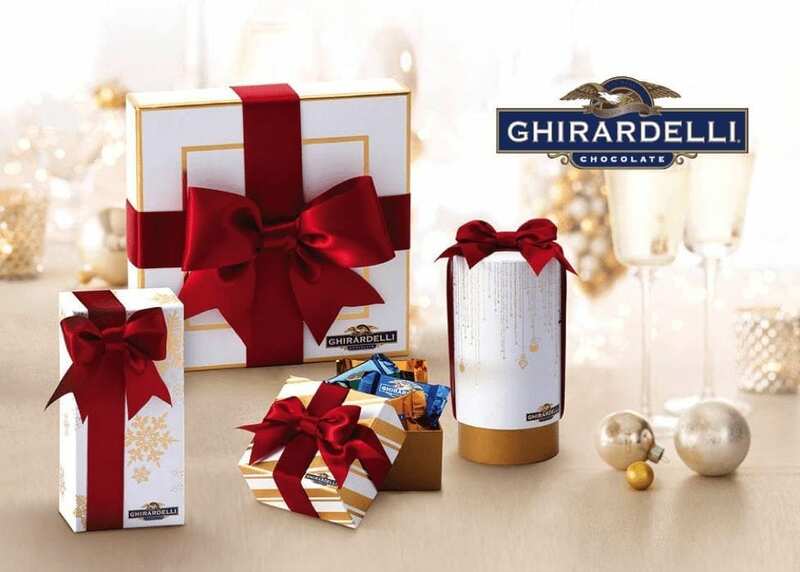 GHIRARDELLI CLASSIC HOLIDAY GIFT BOX: When it comes to holiday, I love the classic gift box and big red bow. This gift box contains an assortment of 24 milk and dark chocolate squares and is a great idea for a gift to keep on hand for unexpected gift giving that really wows! FAUX FUR SLIPPERS: I’ve very recently jumped on the fuzzy slippers bandwagon (two pairs within two weeks!) and think these are the ultimate way to indulge into a cozy winter wonderland. These come in four different color options too! Perhaps wrap yourself in this blanket scarf too? GHIRARDELLI SIGNATURE CLASSIC GIFT BOX: Want to play down the holiday colors for something more classic? Opt for this signature gift box featuring delicious chocolate squares and perfect to share with coworkers! FRAGRANCE DIFFUSER: I feel like fragrance is one of those luxury gifts that people really appreciate, and it’s especially nice to tie a scent to a certain period of time or memory. Give the gift of beautiful scent and every time someone smells it, it will invoke their special memory. SCENTED CANDLE: And on the fragrance theme, these Diptyque scented candles are an amazing treat to give and receive. I admittedly have never burned my roses candle I have, but it puts off a beautiful scent and is so pretty to look at on my nightstand. GILDED COFFEE CUPS: Fancy a Ghirardelli peppermint hot cocoa at home? These gilded coffee cups would be a great gift for your coffee-lover BFF or mom’s afternoon tea! GHIRARDELLI PEPPERMINT BARK SQUARES KEEPSAKE TIN: This tin says holiday all over it! My family loves Ghirardelli Peppermint Bark and this little tin is a cute way to add holiday cheer to the countertop or next to the coffee pot. Maybe slip one of these squares into your hot cocoa and let it melt in? Mmmm! 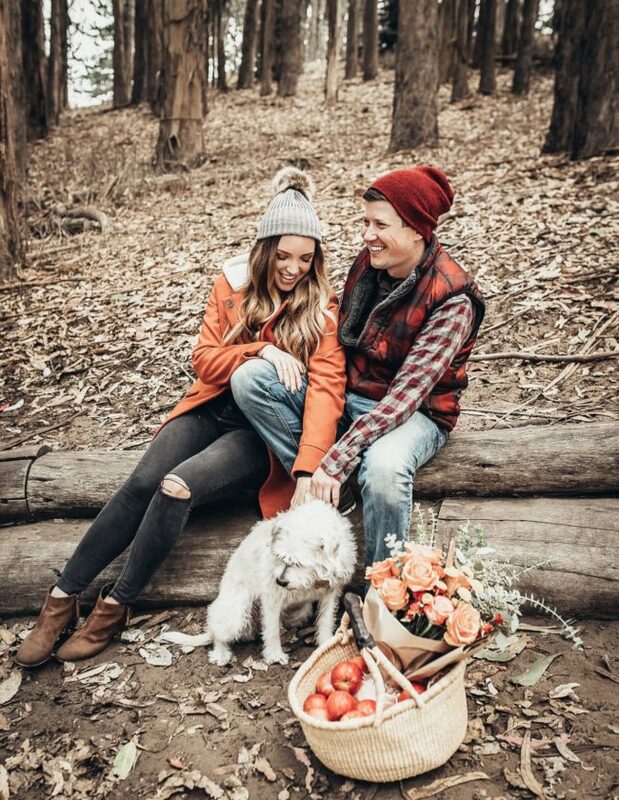 HOODED CASHMERE ROBE: I’m a sucker for cashmere, it’s a beautiful luxury perfect for a ‘treat yo self’ holiday gift–whether you’re shopping for yourself or others. 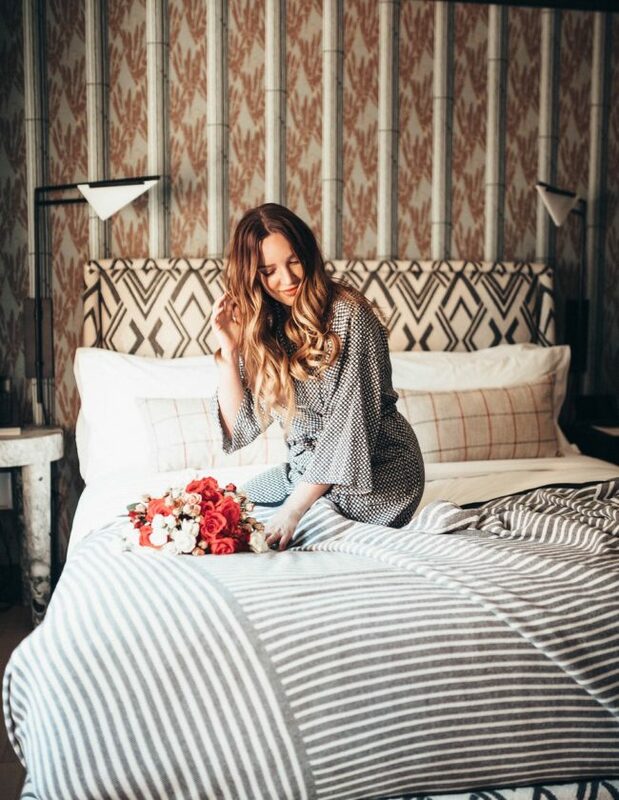 Opt for the longer robe length for extra cozy! SIGNATURE NAVY GIFT BOX: This 10-piece squares gift box is packed with milk and dark caramel–my favorites! This is the perfect “just because” holiday gift or stocking stuffer! I’m keeping a couple of these handy in my bag to sweeten my friends’ days this holiday season. POM POM THROW BLANKET: December and the holidays need a throw blanket in the mix and this one comes in five different colors! FAUX FUR ROBE: Want something a bit more fuzzy and furry to wrap yourself in? This faux fur trimmed robe will make your gift recipient feel like a queen! POM POM THROW PILLOW: Honey, put your feet up and enjoy ‘you time’. Can you tell I’m loving pom poms this season?! GHIRARDELLI MILK AND CARAMEL HOLIDAY GIFT CYLINDER: The perfect sweet treat for the caramel lover in your life (…me? wink wink), and I love this unique gift packaging! And to sweeten the deal on your holiday shopping even more, I’ve got an amazing Ghirardelli deal for all of your sweet, sweet gift shopping! Show this post at any Ghirardelli Ice Cream and Chocolate Shop and receive 20% off your entire purchase. I would love some new slippers. My feet are always cold, so a new pair would be nice. I love this! We always go all out for everyone else, but sometimes it’s nice to give ourselves a little something, too. Wow, it sounds like you had quite the amazing day. If that won’t put you in the spirit, I don’t know what would! What a fun idea to treat yourself for the holidays. 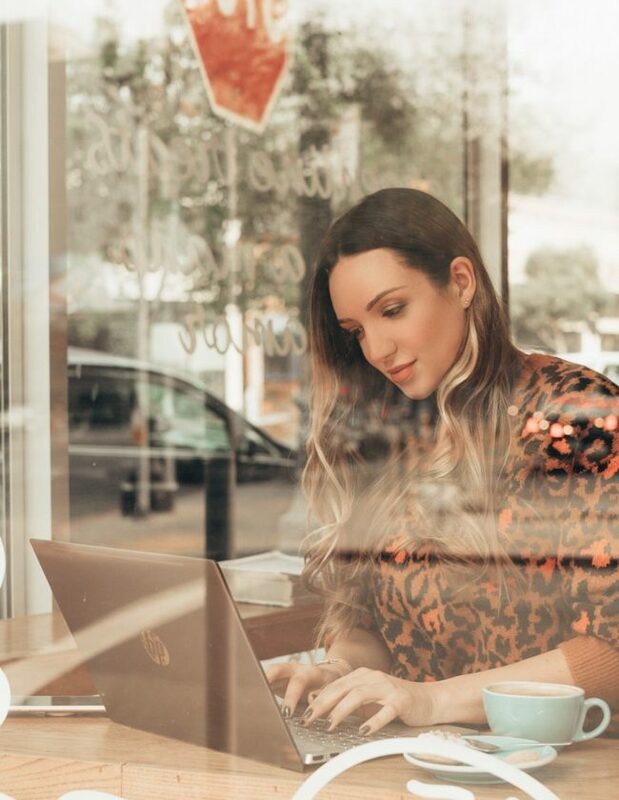 I love the idea of treating yourself this holiday season, going to have to take up your offer and do just that with your gift guide ideas! 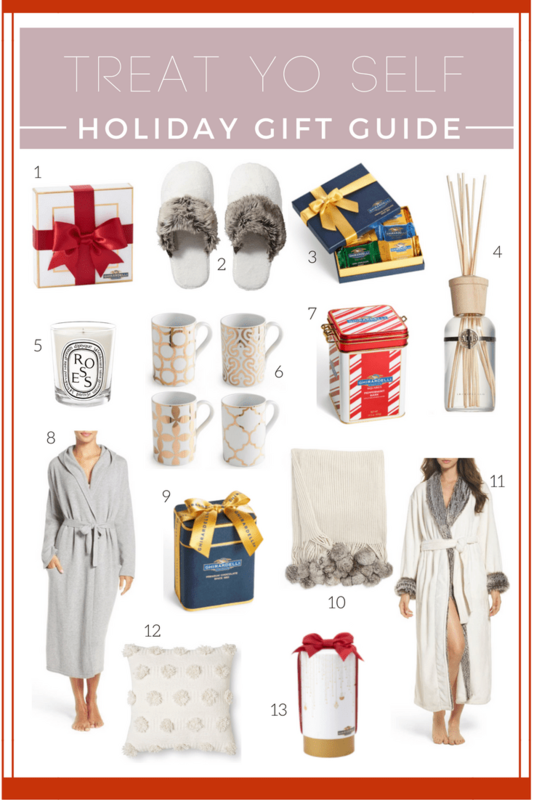 What a great holiday gift guide, just for my self! Many great ideas. Those slippers look super comfy. 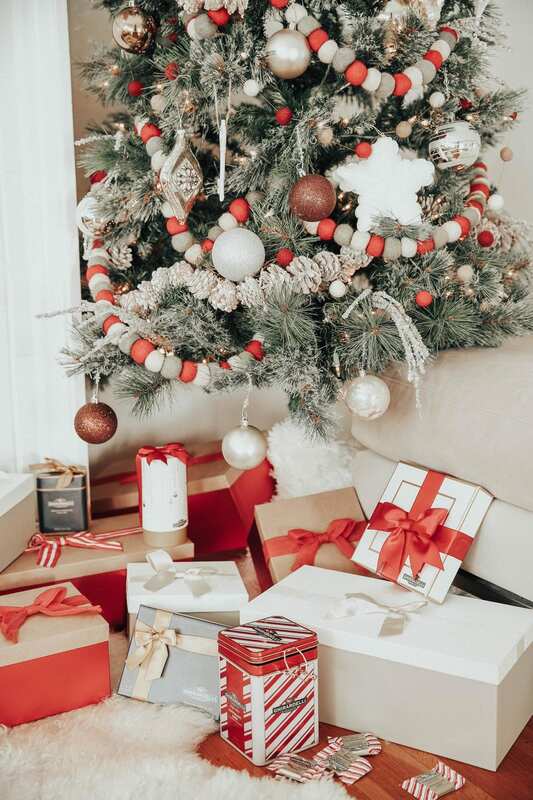 I love your gift guide! For me, I’d like a pair of those slippers, and for the home, that diffuser. I love those mugs! And I would definitely wear those fuzzy slippers, how cozy. Treat yo self you sure did! Nice to see that someone is really getting into the spirit! This is a great gift guide. I love the slippers. I would be so happy to find a pair under the tree this Christmas. By the time Christmas rolls around, I am so burnt out I end up buying myself something just as a pick me up. I think this year it is going to be that faux fur robe. That looks so comfortable! So many great gift ideas. I personally would love the FRAGRANCE DIFFUSER that you mentioned. A must have for each floor in our home. I love rewarding myself during this time of year! These are really great ideas! Where did you get your ?